SALE! Was $68, now $48! 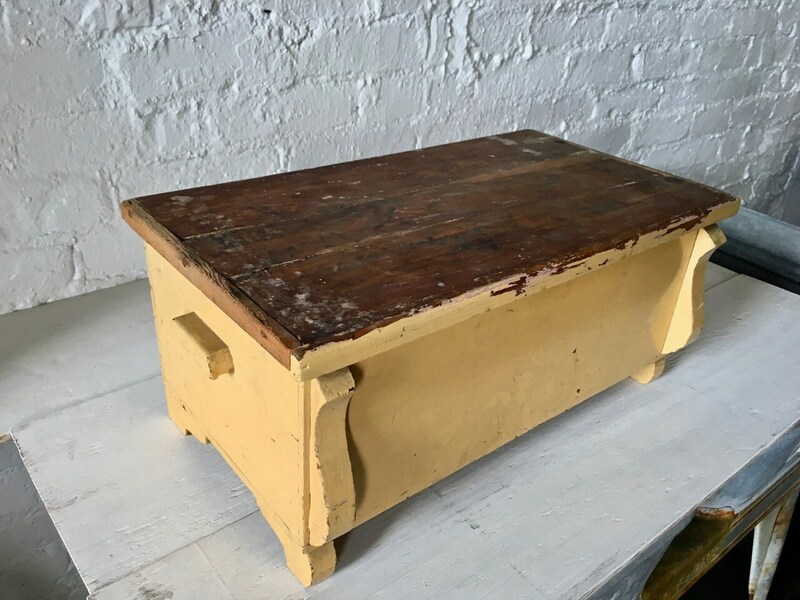 I love the look of this mini cedar chest, it is stylish and primitive at the same time! 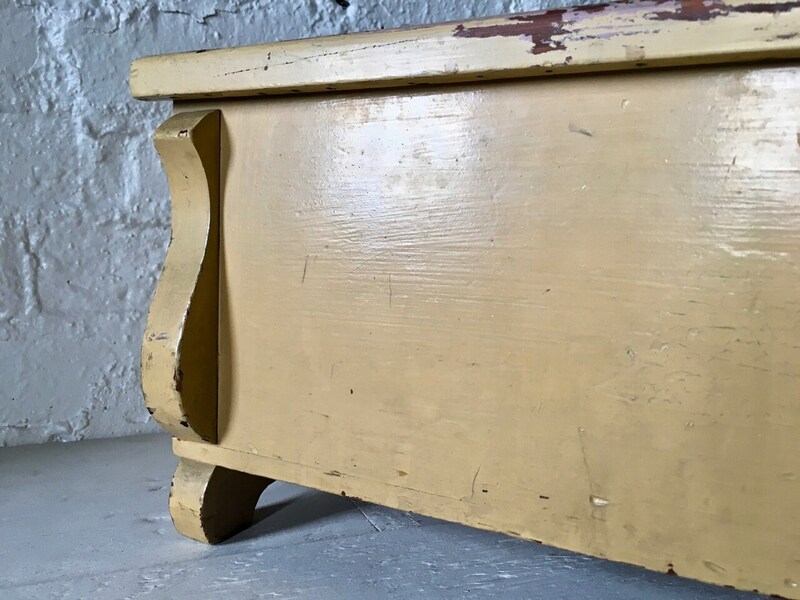 The main exterior is painted a nice mustard yellow, while the lid is unpainted. 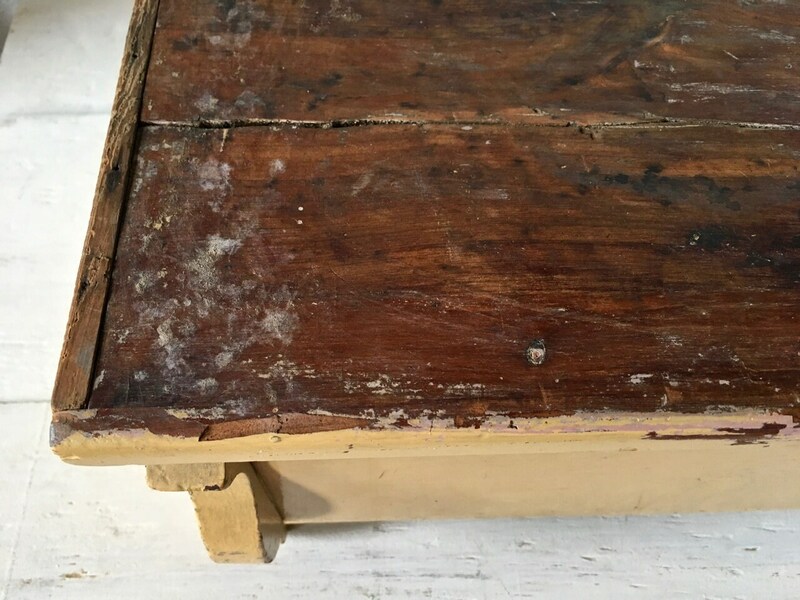 The worn and cracked lid lends to the nice primitive feel of this piece, and while cracked, it is still solid. This sweet little box could be used for many things. 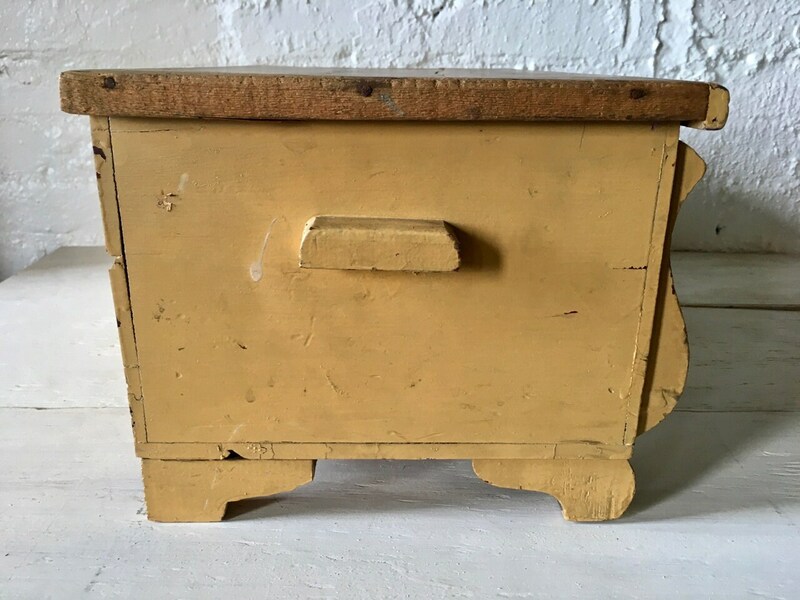 I could see it on a hall entry table to hold your wool hats and mitts, or even your mail. 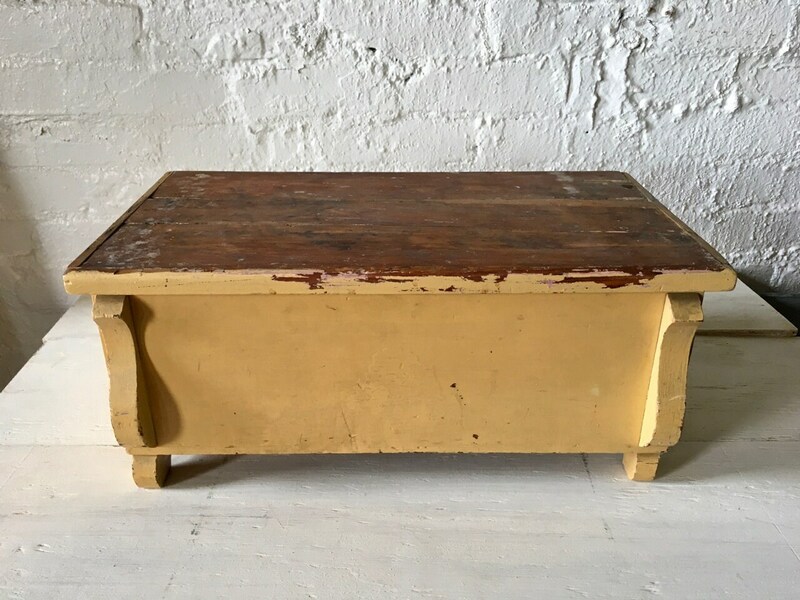 It would look great on a side buffet or a dining room table to hold your cloth napkins, silverware, or other items. 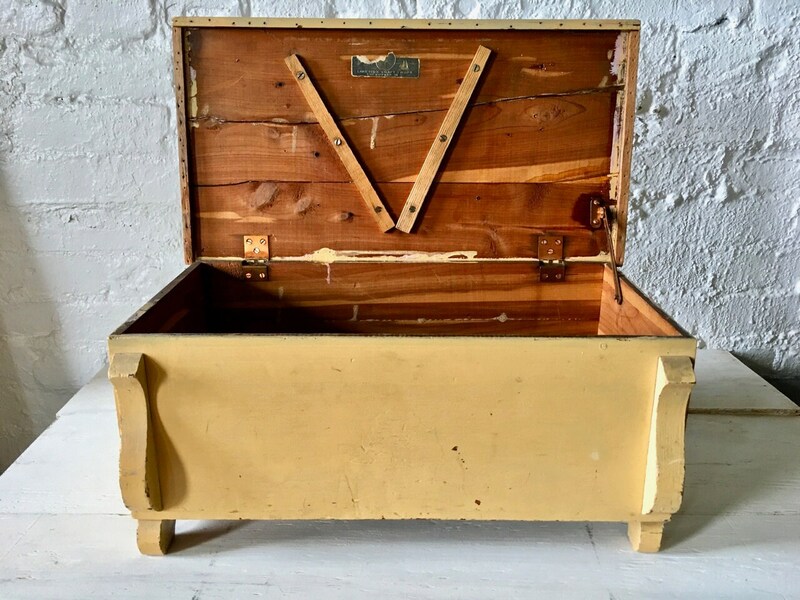 Keep your bedroom dresser tidy by keeping your things in this box. What ideas do you have for using this beauty? 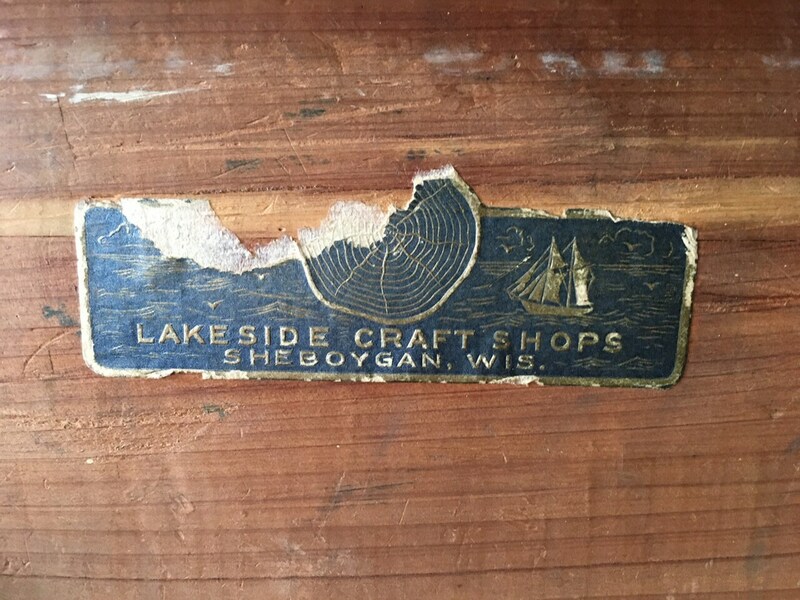 Judging by the label inside which says "Lakeside Craft Shops Sheboygan, Wis." I'm guessing this may have either been a kit project, or perhaps was a storage box for hobby tools, etc. The interior still has a nice cedar smell! The box is 18" x 9" x 7".